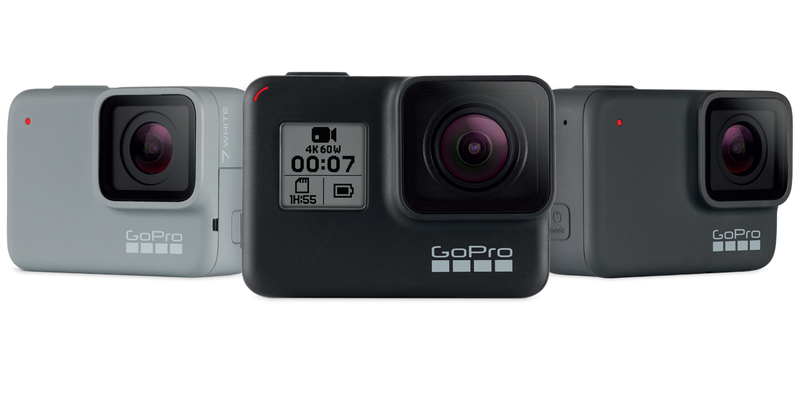 GoPro has launched the new upgraded Hero camera called GoPro Hero7 Family. The GoPro has launched three new cameras in the Hero7 family: Hero7 Black, Hero7 Silver & Hero7 White. GoPro boasts HyperSmooth as Gimbal killer feature for the new Hero7 Black. With Hero7 Black, the user can shoot smooth gimbal like stabilized video without using any motorized gimbal. The HyperSmooth will work in both Underwater and high wind conditions. Hero7 Black also comes with TimeWarp feature. The TimeWarp is actually Hyperlapse video with stabilized video. The GoPro combine the HyperSmooth video with Timelapse video. SuperPhoto: Camera will analyze the scene and will auto apply the HDR, noise reduction and local tone mapping. Portrait Mode: Now shoot the Photo & Video in portrait mode. Great for sharing stories on Instagram, Snapchat and WhatsApp. New Touch Interface: Now camera comes with an improved Touch interface with an easy user interface.